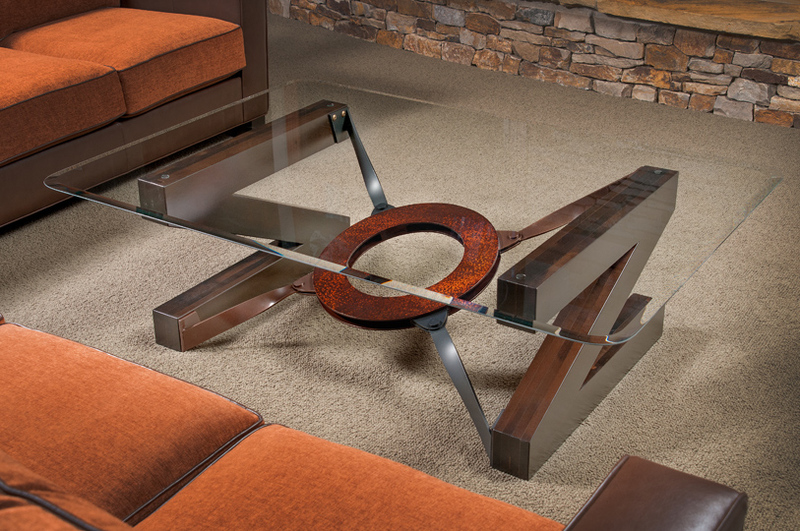 I designed The “Z” Coffee Table as a result of not being able to find just the right solution for my client’s great room that met their specific needs as well as combined elements that complemented and anchored the other pieces of furniture in the room. All local crafts people were employed to make this design become reality. 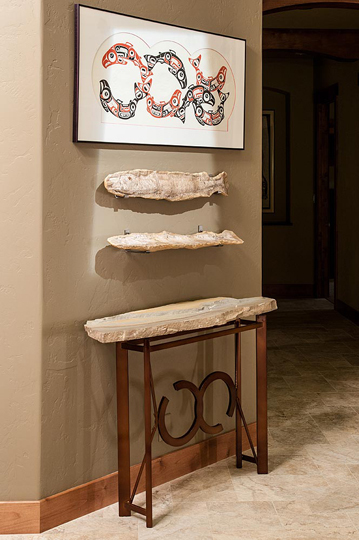 My clients wanted a console table as an anchor to some of their art collected from their travels. After designing the “Z” Coffee Table for them, they asked me to design a console table that brought in elements of the specific art pieces from their collection that they planned for this particular wall. All local crafts people were employed to make this table. This home needed a sizable door and the clients wanted something unique. I designed this door to work with the architectural style and scale of the house. 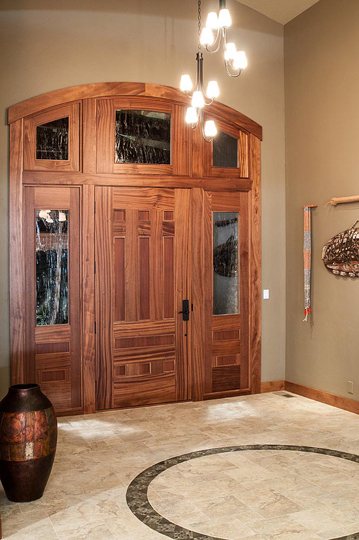 The door is constructed of Sapele Wood that was selected for it’s beautiful fluid irregular grain. The inset panels on the door are done in Australian Lace Wood. The transom window above the door mirrors the shape of the large transom window opposite it on the West side of the Great Room. Seedy Baroque class was used to provide some privacy while letting in the morning light through this East facing door.